I’m a performance coach, musician and fully qualified and registered Alexander Technique teacher. I help clients improve their performance and general well-being through a comprehensive approach to the mental and physical issues that are causing them to suffer and not perform to their full potential. With over 10 years’ experience in Alexander Technique, and another ten working in music and professional theatre, there is much I can do to help you. I have a particular interest in working with stage fright issues, and have written a short eBook called Four Words to Conquer Stage Fright. As a performance coach, I regularly teach acting and music students at Royal Welsh College of Music and Drama. This means that I know just what sorts of concerns and issues are foremost for creative performing artists. As someone whose career was threatened by an apparent physical condition, I know what it is like to experience pain and discomfort. I work a lot with people who have physical or medical conditions, and want to learn how to move well within the limits of the physical symptoms, and prevent any further damage. 2016: Panellist, Discussion panel on Alexander Technique and Higher Education, 9th International Conference for Alexander Technique in Music Education, Trinity Laban, London. 2015: co-author with Jane Toms of “Myth-Busting’ in Attending to Movement: Somatic Perspectives on Living in this World, ed. Whatley, Garrett Brown, Alexander, Triarchy Press. 2013: author of ‘The Role of Social Media in Teaching/Learning the Alexander Technique’, Exchange – Journal of Alexander Technique International. 2012: Workshop presentation: ‘Dynamic Tools for Audition Technique’, Alexander Technique and Performing Arts Conference, Victorian College of the Arts, Melbourne, Australia. I am a member of Pink Noise Recorder Quintet and the Biber Duo. 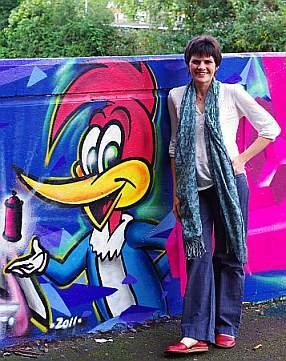 We perform regularly in the Bristol area. For lists of concerts and upcoming events, please check the websites. I am musician, but my career began in professional theatre as a director and workshop leader. I first studied the Alexander Technique when the effects of an apparent repetitive strain injury stopped me from working and enjoying activities I loved. It got so bad that I couldn’t use the computer, couldn’t play recorder, couldn’t knit, couldn’t even cook. It felt as though my life had shrunk to a fraction of its former size. Just getting through a day of writing and research became a triumph. My schedule was a merry-go-round of appointments with doctors, specialists and osteopaths. There was no confirmed diagnosis. I received no lasting benefit from any treatment. There was no vibrancy or spontaneity left in my life. I was stuck. That was when I started a course of Alexander Technique lessons, pretty much as a last resort. I was astonished by the transformation the Technique was having on my entire life, not just on my physical difficulties. My life opened up again. I revisited all my creative passions. I discovered that not only did they not hurt me any more, I was able to take part more easily and more creatively than before. Playing recorder, for example, took less effort and was much more fun. And the stage fright that once had paralysed me had gone! I was a different – and better – person. So I decided to train to become a Alexander Technique teacher and help others to make the same discoveries. I opened my private practice in 2007. It is my pleasure to help performing artists and the general public recover the threads of their creative and working lives. I offer in-person and Skype 1:1 sessions, where I work with performing artists on issues that are impeding their ability to perform to their potential. The problem could be physical tension, performance anxiety (stage fright), or some other cause. Call (0117) 9663394 or email to book an initial consultation. Join my email list to receive regular articles that give Alexander Technique coaching advice specifically aimed at performers. 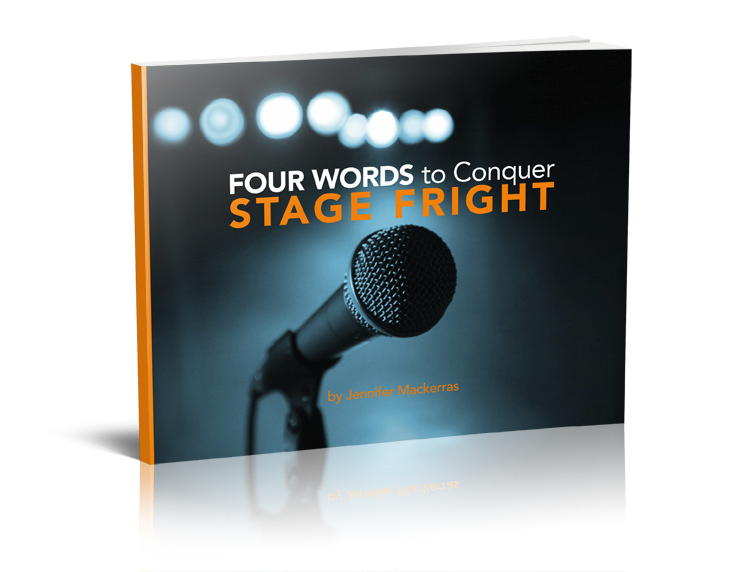 You will also receive, free of charge, my eBook Four Words to Conquer Stage Fright. Four Words to Conquer Stage Fright – the ebook. This book will demonstrate to you that stage fright is not inevitable and not incurable. Rather, it is a set of physical signs and symptoms that we have learned to misread and misunderstand. Then we make them worse with our unhelpful thinking around the whole idea of what performance is about. I’ve filled the book with ideas, tips and techniques to help you beat the nerves so you can perform to the best of your ability, every time. And I know they work, because they’ve helped me. This book contains the ideas that helped me enjoy being on stage once more. Do you want to perform with greater ease and freedom? Are you interested in economy of effort and more enjoyment in your performing life? This book will give you the tools to begin the process of improvement. Sign up to my email list, and get your free copy of Four Words to Conquer Stage Fright today.